I'm not talking about songs which casually mention herps, but bands or songs which are actually herp-inspired/herp-themed. I was looking for the book Zonata on Amazon, and came across a Swedish band by the same name. I can't say they are exactly herp-themed, as I can't determine if they are in fact named after mountain kingsnakes, but it was interesting nonetheless. Great topic. As a musician and naturalist, animal-inspired music has always interested me. Naturally, there is a ton of bird-related music, going back hundreds of years. Herp-related music, maybe not so much. Those are two interesting, kind of goofy examples of herp-inspired music from the Classical music world. I'll definitely be thinking hard to remember more if I can. Heres an interesting find.. A totally chill song sung by some beautiful ladies, inspired by the distinctive posturing of the Australian elapid Vermicella annulata! and I like Phish for road cruising. Cavern talks about a serpent deflector. "Hook" is excellent. I think his nickname has a double meaning. I've always loved that song, partly for that line. Too bad the member of America who wrote it said it was inspired by cloud formations he saw as a kid. Fond childhood memories of chasing alligator lizards around on desert mountaintops would have been way cooler. There is of course Whitesnake , Kingsnake, and Viper just off the top of my head. And lets us not forget the classic song "Boa Constrictor" as in " I'm being swallowed by a boa constrictor......" One of my favorites as a kid. "The Snake" Al Wilson and Johnny Rivers recorded. chris_mcmartin wrote: I'm not talking about songs which casually mention herps, but bands or songs which are actually herp-inspired/herp-themed. Coluber Constrictor wrote: Witchcraft-"The Snake"
My old band Yadokai (I sang and wrote lyrics) had a song called "Aestivate". Zach_Lim wrote: My old band Yadokai (I sang and wrote lyrics) had a song called "Aestivate". Did you record it? I'd like to hear it. Quiet Riot, "Metal Health (Bang Your Head)"
Similarly on Johnny Cash's "Drive On" from the American Recordings album. 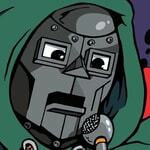 My new avatar is ripped from one of my favorite hip-hop artists, MF DOOM, who has a song "Gazzillion Ear" with the following bars which mention frogs. King Gizzard & The Lizard Wizard has a song called "Rattlesnake", a good band for those Psychedelic Rock fans. Even in the Indie Pop world, we have the song "Funny Little Frog" by the group Belle and Sebastian. Not to mention that one of their albums is called All Hail West Texas. While I don't have any evidence to back it up I swear these guys are herpers. I enjoyed. I'm going to check out their albums in entirety. I get an Americana vibe in them, despite the Indie influences. Glad I could introduce you to a great band! I liked them too, Im interested in this band..
Down near Miami, Florida late in the afternoon where there was a Cabana band playing Samba style Cuban music whilst on a palm tree near my table was a large Cuban Anole. The music raised into an intense set and the lizard appeared to be "dewlaping" intensely along with the music! I may have been imaging a connection though it was a fun thought at the time. These big green foot long lizards have a huge head and a large gular sac. Here's my family's (lizard orr) music: Pretty graphic though.